Candace Reels is an activist who founded The Female Collective. 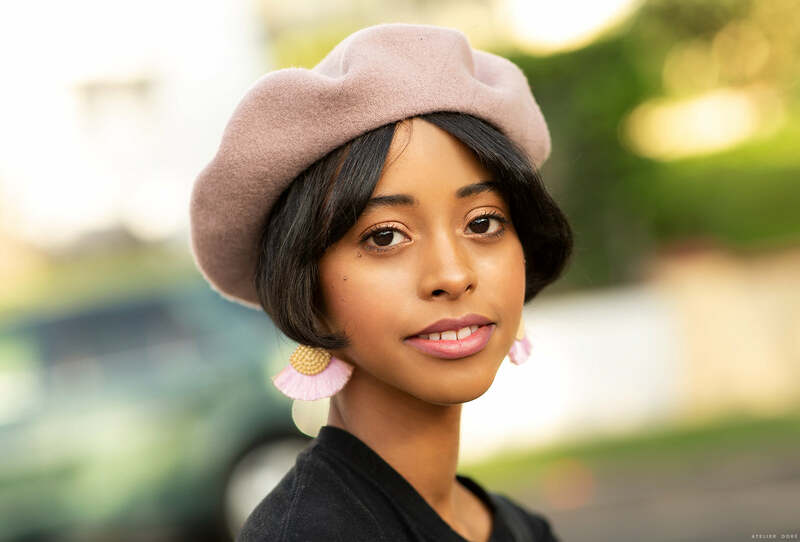 She’s based in Los Angeles where she has a deep practice of self love that helped her find her own worth and her strength to fight for others. Here are a few things she’s learned while fighting for representation. I remember growing up and primarily seeing white faces in magazines, in film, on television, and fair-skinned Barbie dolls in stores. You assume they are the only people seen as beautiful and worthy by society. This feeling of being less than is something I dealt with throughout childhood. It wasn’t until my late 20s that I grew more confident in myself. All of that is due to practicing self-love daily because self-love is not a destination, it is an everyday journey. Constantly reminding myself daily that I am good enough, loved, worthy, and deserve the best that all of the world can offer. This is why I fight for representation. Young girls and boys of all races, religions, sexual orientations and gender identities should grow up knowing that they are worthy, loved, and matter. The power of visual representation allows you to dream bigger. Seeing someone that looks like you being celebrated and shown in a positive light helps inspire you to accomplish your dreams. As a young black girl I would have loved to see the film Hidden Figures, I had no idea that those three amazing black women helped the US go to space. So many of my other peers, young and old, had no idea either. That is why representation is so important. Maybe if I had seen that film as a young black girl I would have pursued one of my many dreams, which was to work with NASA. I’m very thankful that these films are finally being made. Something that seems so small to others is so big to young black girls and boys who can now dream bigger and know that they to deserved to be celebrated throughout society. I started Female Collective to empower, support, and uplift all women. What started off as just an Instagram account has turned into an online platform and clothing brand, where everyday I make sure to share, represent, and support everyone in our society that is marginalized. It is my duty on Female Collective to constantly share why representation matters and why we should all care. I have been fortunate enough to build a beautiful online community of women who are eager to learn. I share my experiences along with other marginalized groups so that we are constantly being educated on what others outside of our family, circle of friends, and local community are dealing with. The beautiful thing about social media is that it allows us to reach out to people far beyond. It’s extremely important to have empathy for others and when I say that I mean, it’s vital for all of us to have the ability to understand and share the feelings of another. We don’t typically feel affected by issues until they happen to us, but we need to have empathy for what other people are going through, even if it’s not our own experience. We can no longer turn a blind eye or stay neutral on issues that are affecting people’s daily lives, simply because we don’t know their pain or are afraid to step out of our comfort zones. We must continue to have courageous conversations with each other in order to truly get to the root of the issue and make change happen. Learn actionable ways to make a difference in your community. Posting on Instagram is a great start, you’re bringing awareness to issues online. But don’t stop there, we must take action and help out in our communities to truly make a difference. I find it best for people to choose a cause they’re passionate about, whether that’s women’s rights, LGBTQ issues, the environment, gun control, or Black Lives Matter. From there learn who’s already fighting for these issues in your community. They’ll help you figure out how you can get involved. Also the best thing you can do is listen to the marginalized people affected by these issues and educate yourself on what should be done. My mom who is a strong, independent, caring, and loving black woman, has always been my role model. She has shown me that it’s okay to be yourself and not let anyone bring you down. She has been such a positive force in my life and has constantly reminded me that I can achieve whatever I put my mind to. My mom has inspired me to share the wisdom she has given me throughout the years to other young black girls, so that they know that they too can achieve anything they set their minds to. I was very fortunate enough to grow up with two loving and supporting parents that told me that I could accomplish any and all dreams in life. I want to be that person for all the young girls struggling with who they are and where they fit in this crazy life. That´s great! Thank´s very very well for these wonderful words. She is soo beautiful and ethereal! and her earrings ? As a black woman, I can relate a 100% on everything here and what a joy to see such article on atelier doré. Thank you, representation matters. I love how the atelierdore.com site has evolved. It is not one of the online destinations I must go to daily. I adore the superlative portraiture and the amazing diversity in the women, the characters featured. I love seeing all these stunning phenomenal women from all ages, shades, and passions. Thank you! C’est génial de lire ce genre de témoignages hyper inspirants sur ton blog, Garance !! On est vraiment dans une société où l’engagement devient primordial, et si tu peux relayer ce genre d’exemples, c’est hyper positif pour nous tous !